The Badeau block, photographed in 1896. 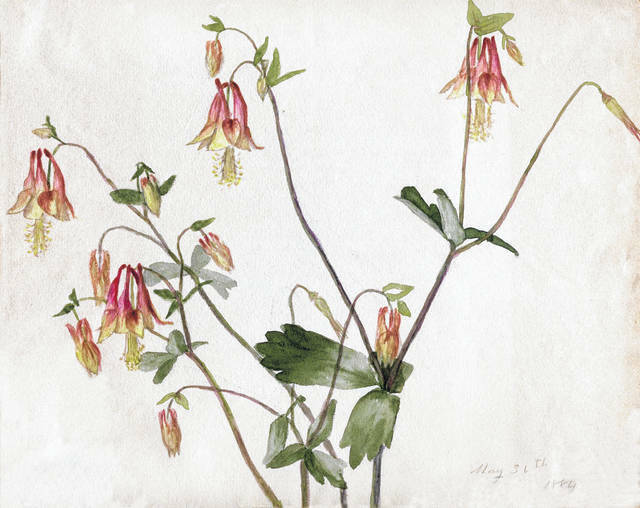 Columbine painted in 1884 by Matilda “Tillie” Badeau. The Rev. Richard M. Badeau was born in New York. His calling found him traveling for the Presbyterian church into Ohio and the Lima area, and he wrote to his brothers back in New York about the opportunities here. One brother, Edward, invested in property. Another brother, Selas who went by “Silas,” came to live here just after the Civil War. Elsie Onderdonk Badeau, wife of Selas “Silas” Romey Badeau. Malvina Badeau, known as “Vina,” was a daughter of Silas and Elsie Badeau. She was a teacher and a charter member of the Lima Choral Society. She never married. Matilda Badeau, known as “Tillie,” was a daughter of Silas and Elsie Badeau. She taught briefly but devoted her time to art. She was an early president of the Lima Art Club. She never married. Joseph Badeau was a son of Silas and Elsie Badeau. He worked as a manufacturer of tinware and as a postal clerk but was known for his vocal abilities. 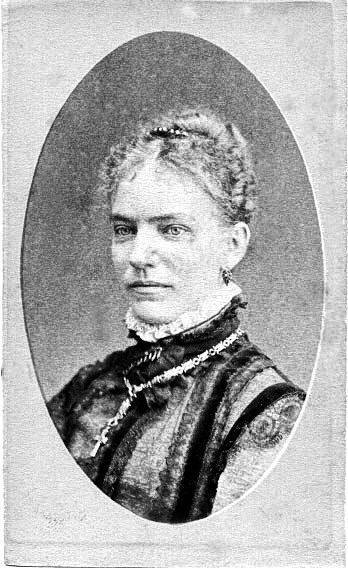 Helen Louise Badeau was a daughter of Joseph and Marietta Badeau. She was noted as singing at various events. 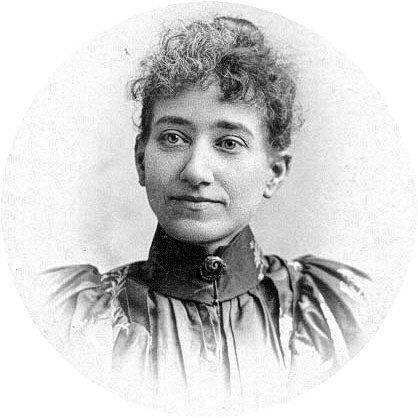 She married Walter D. Risser and had three children. 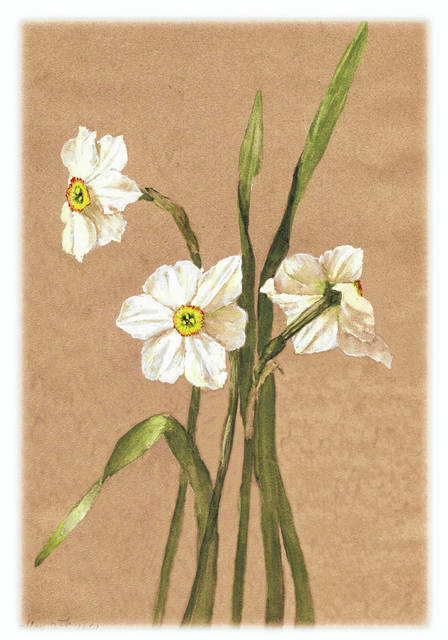 Daffodils painted in 1881 by Matilda “Tillie” Badeau. 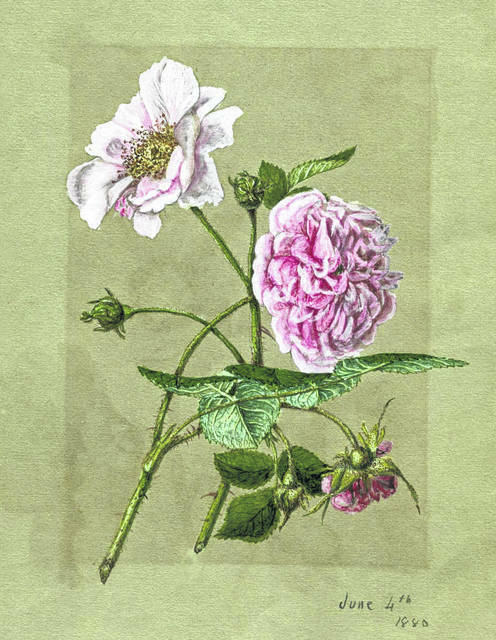 Roses painted in 1880 by Matilda “Tillie” Badeau. Ethel Badeau Metzger, right, was a daughter of Joseph and Marietta Badeau. She also sang well, like many in her family. Her son, William Edward Metzger, was awarded the Medal of Honor during World War II. However far he had traveled, there apparently was not a lot to see when Badeau, the descendant of French Huguenots who was born in New York about 1810, arrived in the area around 1842. “When he passed through Toledo, accompanied by Mrs. Badeau, who was then a bride, they drove for miles without seeing a house,” the Toledo News-Bee wrote. Although he didn’t see many houses, Badeau apparently liked what he did see. A prolific letter-writer, Badeau, who also served as the second full time pastor of Lima’s First Presbyterian church, influenced his brothers back in New York to give Lima a try. Unlike his circuit-riding brother, however, Edward Badeau lent only his name, not his presence, to Lima. According to an article written in 1999 for the Allen County Reporter, a publication of the county historical society, Edward Badeau, apparently influenced by Richard Badeau’s letters, joined with his cousin and business partner Francis Lockwood in 1855 to purchase land in north Lima that was named the Badeau-Lockwood addition. A third member of the Badeau family, Selas Romey Badeau, along with his wife, Elsie Onderdonk Badeau, arrived in Lima shortly after the Civil War. Known as “Silas,” Selas Badeau was born in New York around 1807. 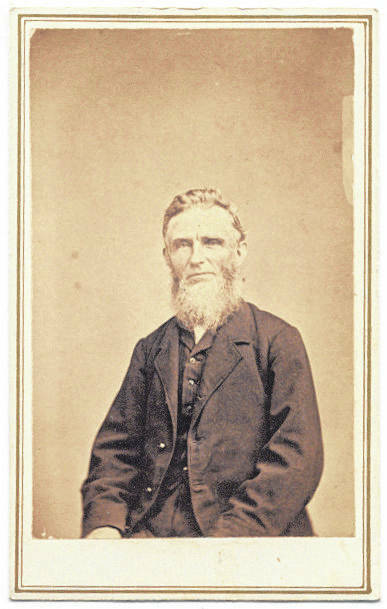 Silas Badeau was an elder in the Presbyterian church in Lima and he and his wife were the parents of three children: Malvina, known as “Vina,” Matilda and Joseph. 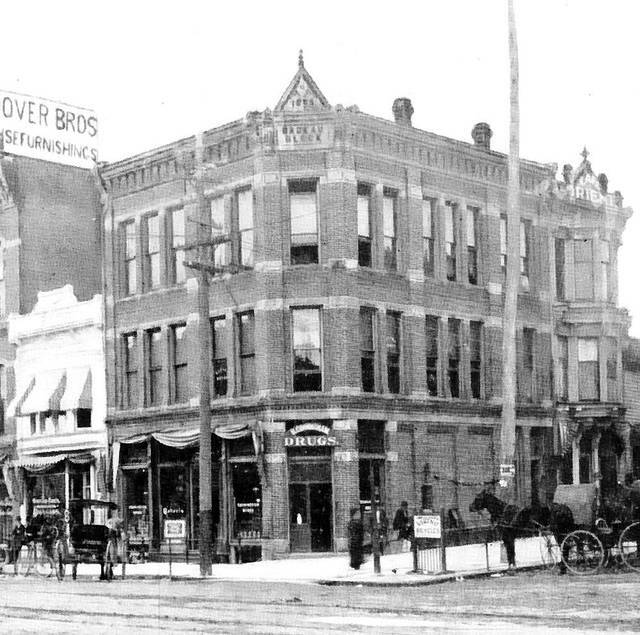 They also owned a business block on the southwest corner of South Main Street and the Public Square which bore the family name. Two years after Silas Badeau’s death in February 1887, the business block was razed and rebuilt, forcing, the Allen County Republican-Gazette noted on April 12, 1889, “the Chinese to move their laundry.” The new building, according to the Republican-Gazette was “a handsome three-story block” that over the next 35 years would be home to offices, drug stores and the offices of the Allen County Democrat. It was demolished in the mid-1920s to make room for the Dime Savings Bank building, which in later years was the home of Blue Cross/Blue Shield before it, too, was razed in the early 1980s to make room for Veterans Memorial Civic Center. Silas and Elsie Badeau’s children were somewhat more enduring. “This talented Badeau family contributed much to the arts in early Lima,” Mary Mae Campbell wrote in the 1999 Allen County Reporter article. Her name, the article noted, “appears in various Lima newspapers as a vocalist for First Congregational Church, Market Street Presbyterian Church, the Musical-Literary Society and the Twentieth Century Club.” Malvina Badeau never married. She died Feb. 2, 1930. Matilda Badeau’s work often was enthusiastically beheld somewhere else. She was as footloose as her circuit-riding relative the Rev. Richard Badeau and the local newspapers often reported her returning from or going to Chicago or California or wherever, although she often gave exhibitions in Lima of her art created during these travels. Like her sister, Matilda never married. She died Feb. 6, 1939. 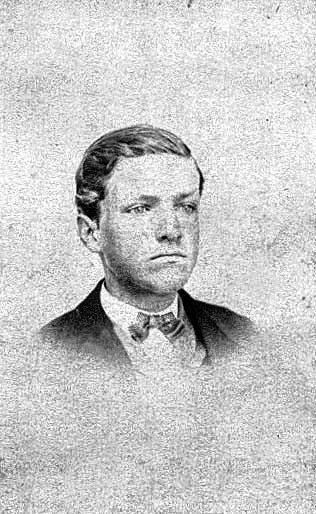 Joseph Yonge Badeau was born Nov. 1, 1855, and was married to Marietta C. Dague. The couple had three daughters: Helen Louise, Marie M. and Ethel. The 1882-‘83 Lima City Directory listed Joseph Badeau as a manufacturer of tinware and roofing at a shop on South Main Street just south of Kibby Street. On Feb. 1, 1900, he took a job as a general postal clerk at the Lima Post Office, retiring in 1921. He also was a charter member of the Lima Choral Society that, according to the article in the 2006 edition of the Allen County Reporter, was organized in the Badeau home in February 1875. “He also was a member of the Ohio Male Chorus (organized in Lima) that traveled to the Alaska-Pacific Exposition in Seattle, Washington, in 1909.” Joseph Badeau died Nov. 26, 1938. Like her father, Helen Badeau was a member of the Lima Choral Society and often sang solo at local events. She was married to Walter D. Risser and the couple had three children. She died in 1970. 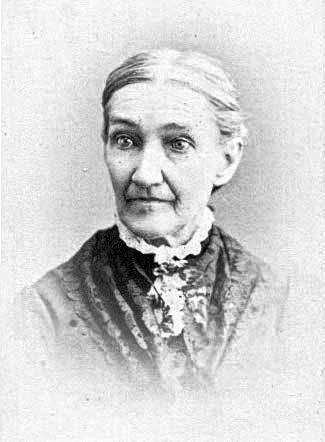 Her sister, Marie, married Elmer Benjamin Yale and the couple had four children. She died in 1920. 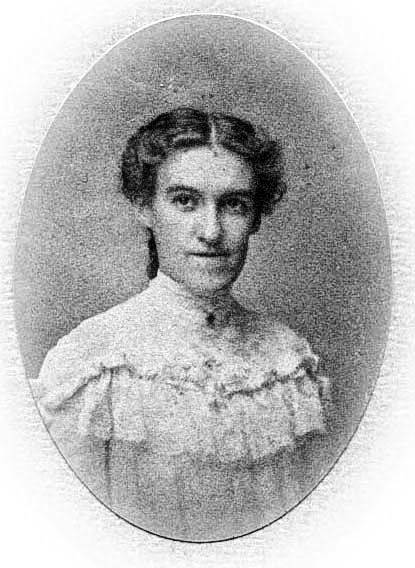 Ethel Badeau, was born in 1881 and died in 1966. Like sister Helen, she was a singer. “The sisters were talented in both music and painting,” according to the Allen County Reporter. Ethel Badeau was married to William Metzger and the couple had four children. She died in 1970. 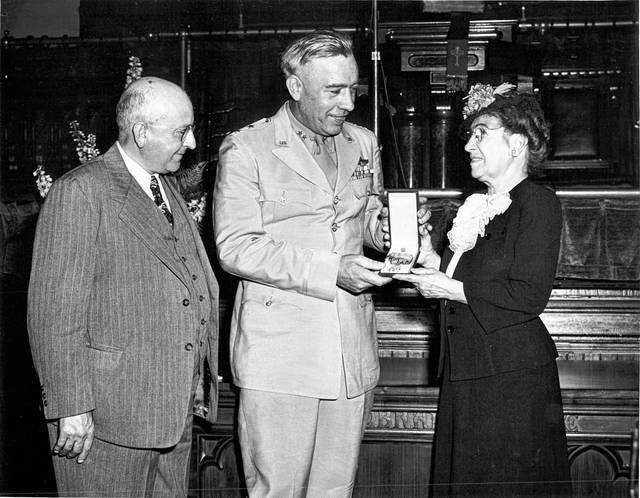 One of Ethel Badeau Metzger’s children, William Edward Metzger, was awarded the Medal of Honor during World War II. The co-pilot of a B17 Flying Fortress, Metzger died in November 1944 while he and the pilot were attempting to land the crippled aircraft to save the lives of several injured crewmen who had been unable to parachute to safety. Metzger Reservoir is named after him.